Do you know why rubrics work so well? It presents a clear outline of what work needs to be done for both teachers and students. It is a map that sets the expectations for what needs to be done. 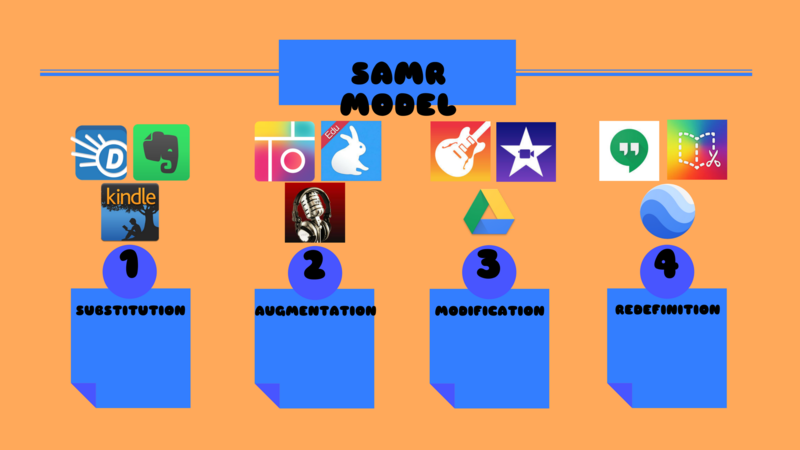 Just as a rubric does for your assignments, the SAMR model helps teachers come up with a clear strategy for using technology in their classroom. I see technology as a tool to enhance everything about my teaching practice. I truly believe that every teacher can become more engaging, efficient, and effective by using technology. I started off by putting my lesson plans in Evernote. Then I started to quiz students on their history lessons using Schoology. But I will admit, I didn’t have a plan, I just did whatever felt natural to do next. I wish I had a plan, it would have saved me loads of time and effort. After my first steps with Evernote and Schoology, I next went to digitizing my nightly worksheets. Putting worksheets online turned out to be pretty inefficient. Students had to open a PDF document containing, print them, and then hand them in. I decided to change my approach and just put the questions into a Schoology assignment and students could write out the answers and turn them in on paper. At this point I wasn’t yet collecting the homework online. Schoology was just a resource center for students to get access to their resources and consent. Looking back, knowing that I was in the Substitution stage of SAMR would have let me focus more fully on going digital. It would have been a conscious decision and not just doing it randomly. Schoology turned out to be my classroom base camp: daily lessons, PowerPoints/Slides, assignments, homework collection, quizzes, projects, and rubrics. Google Classroom wasn’t around in 2013 but it now can fulfill many of the functions that I was trying to accomplish. Once I digitized a lot of my content, what was next? 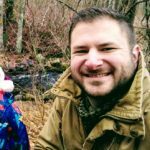 I then started to take all that material that I put online and tinkered with it until I was redesigning my courses to be more mastery-focused, gamified, project-based, and individualized. based on available technology. Then, I went 1-1 with Chromebooks in 2014, and everything about my teaching changed. I was then in the Redefinition stage of SAMR. Had I known this, I would have been better able to give meaning and a clear goal to what I was doing. So what is SARM? SAMR is a model to help guide teachers in using technology in their teaching. It was first developed by Dr. Ruben Puentedura in 2010. And is a model you can use to help choose your next tool, reflect on your progress, or re-imagine your lessons. 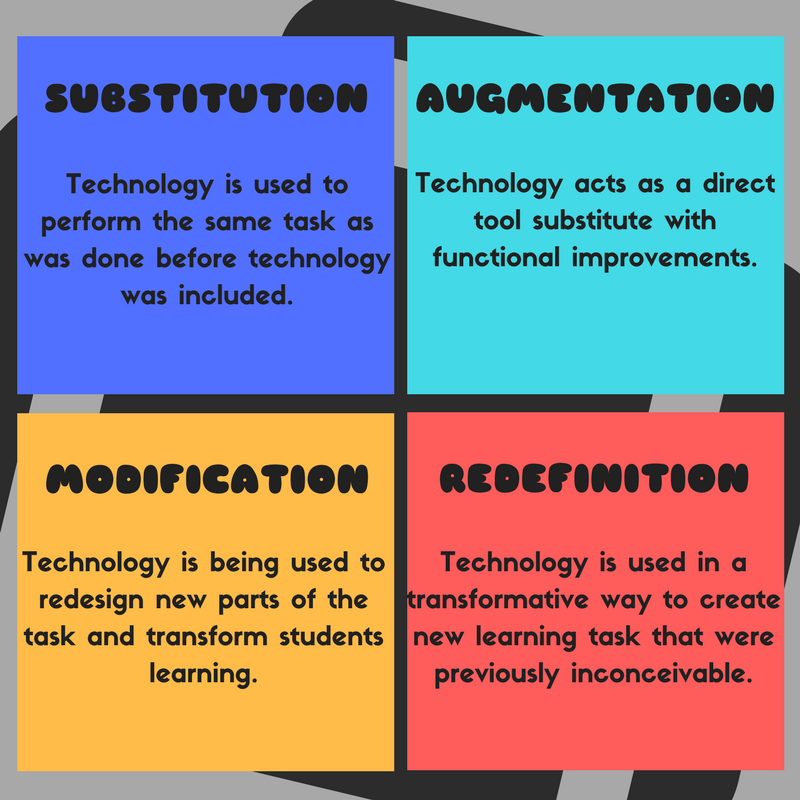 What Does SAMR Stand For? Technology is used to perform the same task as was done before technology was included. Teacher scans paper document/worksheet into PDF, put it on Google Classroom or Schoology, student prints out document/worksheet, completes it on paper, brings to class. Technology acts as a direct tool substitute with functional improvements. Teacher lets students deliver and complete a quiz using Google Form instead of using pencil and paper. Technology is being used to redesign new parts of the task and transform students learning. Students use Google Docs to write an essay and share it to collaborate and receive feedback using the comments feature to help improve the quality of writing. Technology is used to transform a learning task into something that was previously inconceivable. Students use Google Earth to make a virtual field trip to a locale and hold interviews with people who have visited it. What Are Some Websites/Apps That Can Be Used For SAMR? It helps students organize your professional files and students can use them to organize their personal projects. It can be used to replace the traditional use of pen and paper for note taking and notebooks. You can save things you find online and share notes without a copy machine. This dictionary website is a good substitute for paperback dictionaries. You can easily search definitions, synonyms, and antonyms. It’s features include audio pronunciations, voice word search, word origins, spelling suggestions, and more. An awesome website that allows for easy curating and distributing reading resources to students. They can read digitally, take notes, and take assessments on the website. A simple and easy app to create a infographics, posters, social media posts, or guides. Students can choose from a variety of grid layouts, templates, images, or just freestyle. No collaboration features but it is free. Students take drawing and not just put it online, but expand their capabilities through Canva. The built-in camera of a device or other video camera apps can be used by students to record oral presentations. With this specific app, you can create custom videos that are easy to share. It allows you to record voice memos like reading to monitor fluency and expression. Doesn’t everyone use Google Drive now? It supports learning modification by using tools for real-time collaboration. You can save all your files and access it from any device and they are backed up safely so you won’t lose them. You can share files and folders with others for them to view, edit, or leave comments. Students are not just working alone on your assignment, but together. iMovie allows the digitization of stories and enhanced presentations. It provides basic editing tools to put together a trailer or movie from a set of video clips and share the final project when finished. It is super easy to use and instead of having students create presentations, they could create a short movie clip. YouTube editor will work for this as well. I have tested both and which one depends on what technology you have available (Mac or Chrome/Windows). Instead of using traditional paper or digital maps, Google does a fantastic job of putting students right into the spot you are studying. Google is digitizing many cities across the globe so students can easily explore what life is like for people on the street. It redefines learning through making eBooks on a device, like children’s picture books, comic books, photo books, journals, textbooks and more. Once finished, you can share the eBook or even publish to the iBooks Store. Students don’t just read the book, they make one. I knew a high school math teacher who had his students create a math text-book throughout the year. It is a pretty cool project. This is different from Google Maps. With Google My Maps, students can create their own maps. I had students create virtual field trips where they label locations along a path that they decide. It is a pretty cool way to reimagine studying traditional maps. There are no shortcuts to integrating technology in your classroom, and the SAMR model can serve as your guide to reflect on your current teaching practices and recognize areas that need development. To move into this direction, it is important to identify the apps or tools you will use to enhance your lessons to make technology support students growth. Will you walk into work one day and decide that you are a Redefined teacher? No. Maybe you put one worksheet of questions online but the next you don’t. Maybe students create a video for one assessment and take a traditional test on another. This is ok. Your adoption of technology into your teaching is a very personal transition. But, if you can use SAMR as a guide, you can benchmark your progress and make a conscious decision about what you want to do with technology. SAMR provides a clear guide for you to benchmark your progress and to plan out your next steps. What is the furthest you went this year with SAMR? Were you able to do anything that redefined a lesson’s expectations? If so, let us know in the comments!